Prepare for winter and arm yourself with the LARP Needle. Present your own take on Arya Stark while celebrating the Game of Thrones series at a cosplay event or claim the Iron Throne during a LARP adventure into the realm of Westeros. Lightweight and flexible, this LARP weapon is crafted from dense latex foam with a fiberglass fusion core. It is painted with realistic detail. 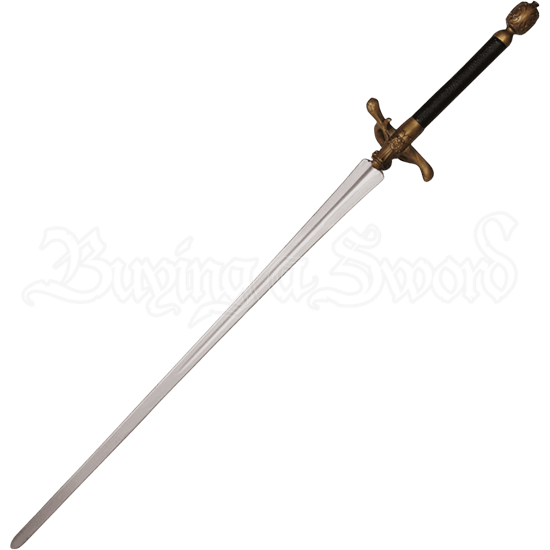 The sword is modeled after the weapon wielded by Arya Stark throughout the HBO series. Combine a love for live action roleplay with that for the George R.R. Martin series, A Song of Ice and Fire. The LARP Needle will serve you well.